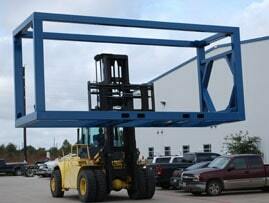 If you applications calls for DNV approved frames or containers, contact us!!!! 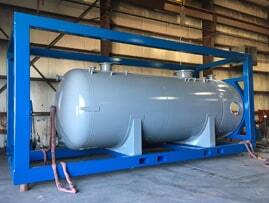 At HVM we have the capabilities to build any type of DNV approved units. We can fabricate just the frame or a complete system inside a box fully certified, tested and ready to go. Contact us! Houston Vessel Manufacturing recently shipped four (4) Induced Gas Flotation Cell installed on Lloys Register, DNV Rules Design frames to a satisfied customer in Louisiana. These units will operate on offshore platforms in the Gulf of Mexico removing unwanted harmful particles off the process fluid according to state and environmental regulations. For more information on our capabilities and products, just contact us!